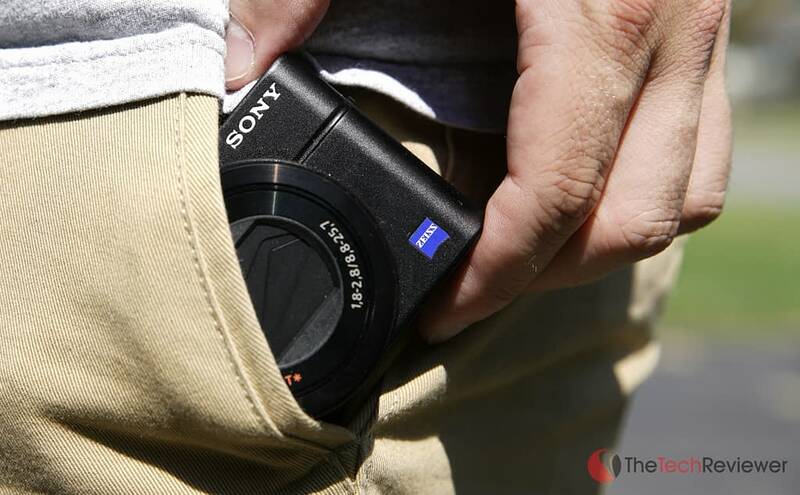 Sony RX100 IV Review - Best Pocket Camera Ever? 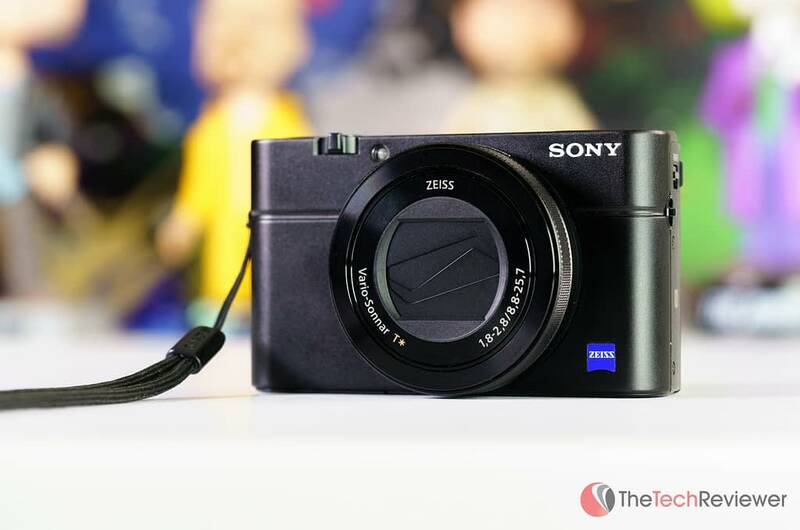 Sony's RX100 IV packs incredible stills and 4K capabilities in a pocketable form-factor. With the introduction of the smartphone camera, the point and shoot camera market has declined as modern smartphones often surpass the image quality found in the cheaper end of the P&S market. This is all while offering the added convenience of only requiring a few clicks to share on social media via mobile apps. However, for someone like myself who loves photography and prefers shooting with a DSLR, I've always sought after a camera with DSLR-like qualities yet none of the bulk, a compact, pocket-friendly model that is ultra-portable without having to sacrifice much in terms of image quality. 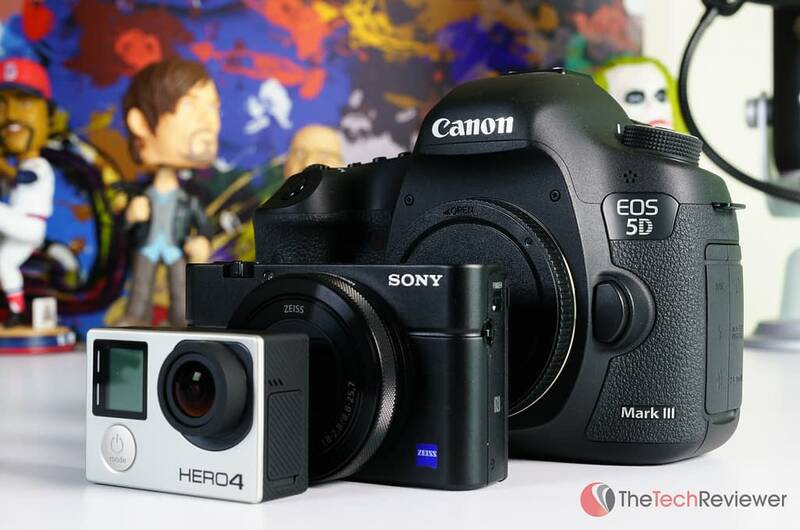 This is where Sony's RX100 IV comes into play and after its announcement, I placed an order the Mark IV as well as their a7RII to go with my existing a7S and Canon 5D Mark III. My reasoning for buying the RX100 IV is rather simple. I want to be able to capture higher quality photos while on the go without the hassle or risk of damage/theft that comes with lugging a DSLR and various lenses around with me. With the introduction of 4K support (including S-Log 2), I would also be able to capture video memories while on vacation or when traveling as well as the option to use it as a C camera if I need be. The following review will cover my personal experiences using the RX100 IV for the past month without any bias or outside influences having any effect on the outcome of this review. The product was paid for with the company's funds, and this review is not endorsed by Sony or any third-party company. Right off the bat, the first thing one will notice about the RX100 IV is how incredibly small the camera is. On its long end, the device spans just over half the length of my iPhone 6+ though the thickness is much larger. The small size is the strongest selling point for this model though it also brings some troubles in the ergonomics department as its compact form-factor, and the lack of a contoured grip does make for awkward handling. If you are familiar with the RX100 III, the IV looks almost identical besides the Mark IV branding elements. 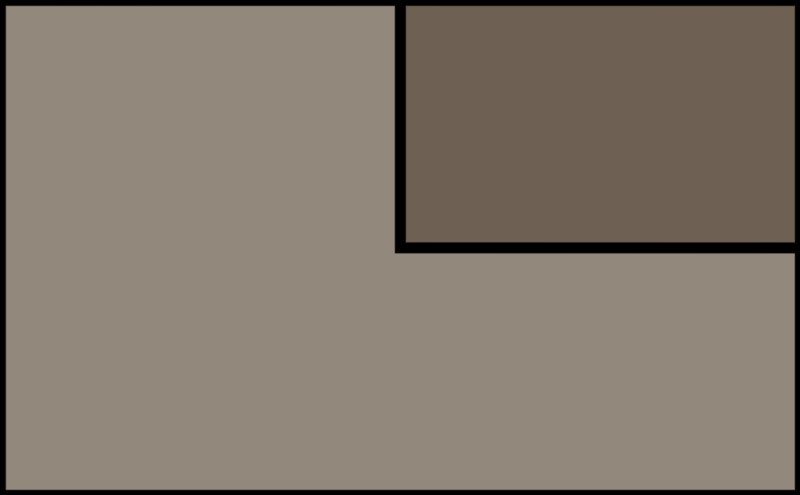 The rear button layout is identical to the previous generation so those switching will not have to deal with the hassle of learning a new configuration. Core elements like the pop-up EVF, articulating display, function ring, and bounceable flash components are unchanged in regards to cosmetics though the EVF has been greatly improved (I'll get into this later on). From a build quality perspective, I feel that you get your money's worth. 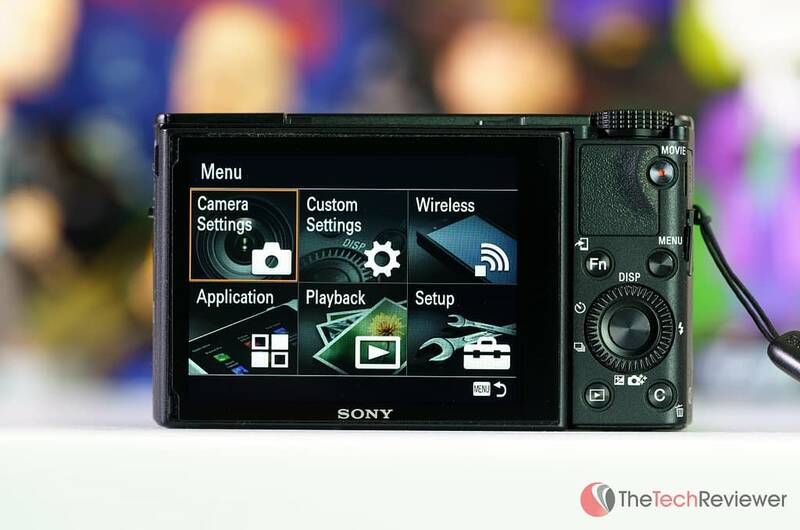 The camera doesn't have a cheap feel and is substantial enough to warrant its price-point while remaining lightweight enough to throw in a pocket without it becoming an obstacle. All of the dials and buttons including the shutter release have a smooth, tactile feel to them suitable to the pricing. If I were overly critical, I would say the pop-up flash could use some improvement in terms of overall design and build quality, but it isn't an issue as most will hardly use this element given the impressive high-ISO performance. The RX100 IV was announced alongside its older brother, the RX10 II and is the fourth generation in the RX100 series meaning there are three earlier models that are still being sold through retailers like B&H or Amazon. 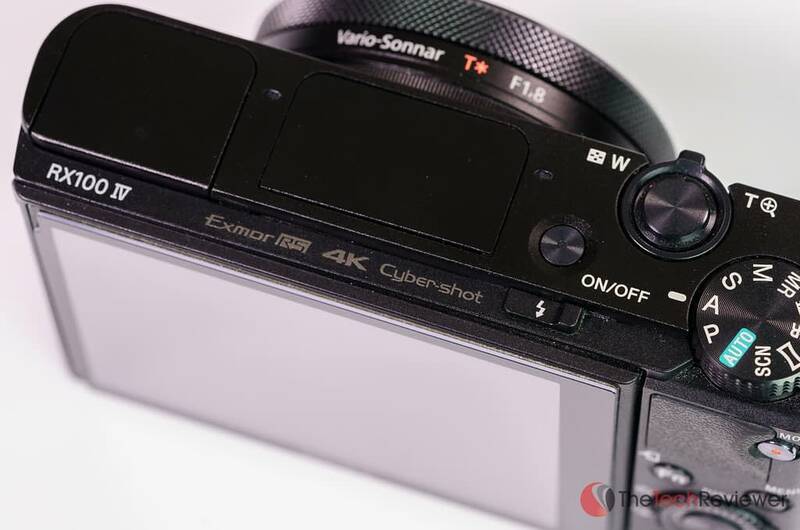 From a quick glance, the RX100 IV appears identical besides its Mark IV branding, but internally there are some significant upgrades. Slow-motion video capabilities have been significantly increased with realtime video recording at 120fps 1080P HD and 2-4 second buffered video at up to 960fps (upscaled to 1080P). RX10 II has a longer record time in 4K (29 minutes and 59 seconds compared to the 5 minute RX100 IV cap) due to the greater heat dissipation of the larger-sized body. 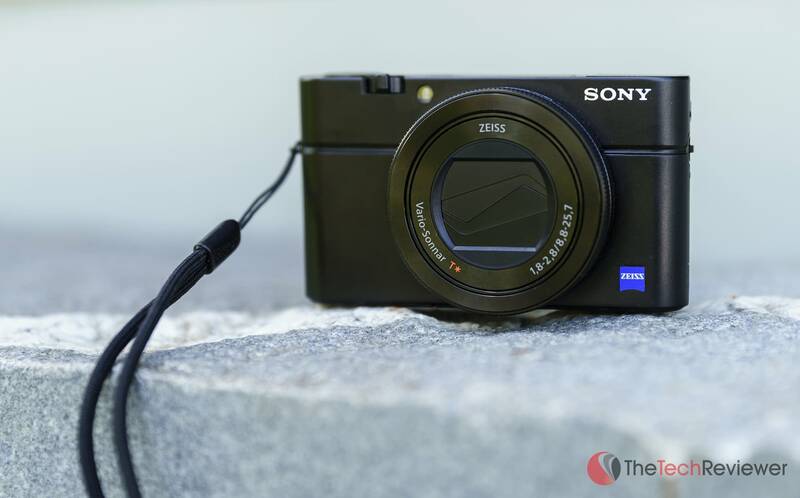 The RX10 II also offers a larger battery, top LCD display, .70X viewfinder magnification (versus .59X), an external mic jack, a headphone jack, higher max flash sync speed (1/3200 versus 1/2000) and an integrated hot shoe for use with external accessories like aftermarket flashes or microphones.